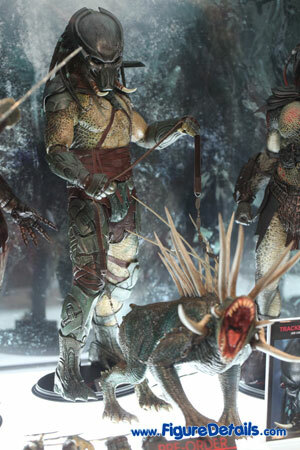 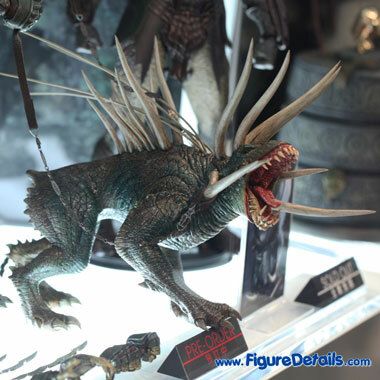 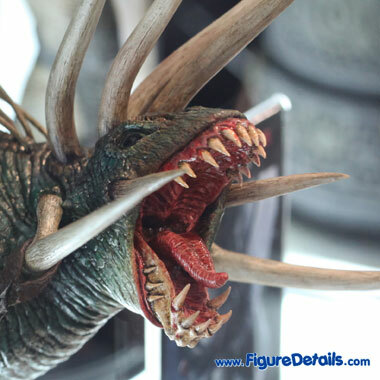 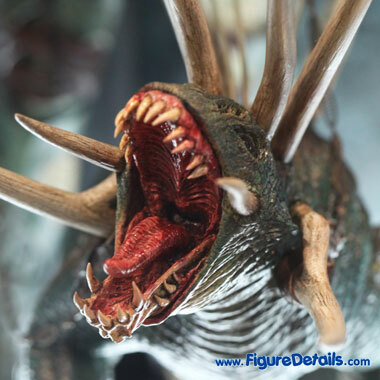 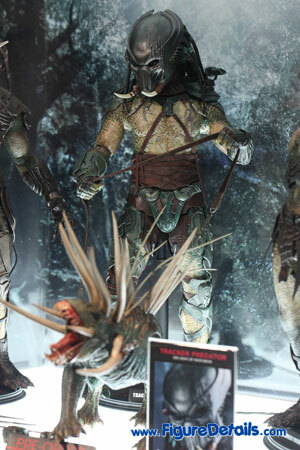 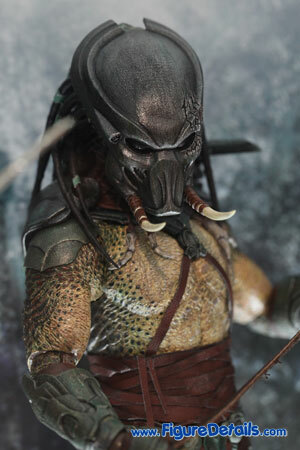 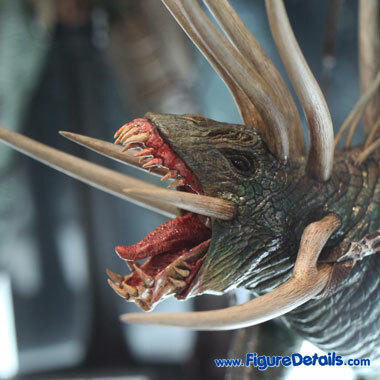 Here I show you the photos of Tracker Predator with Hound that is now displaying in the Hot Toys store. 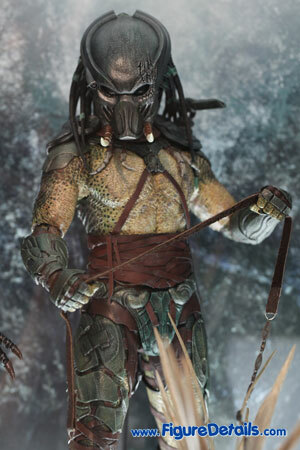 Tracker Predator is based on new movie Predators. 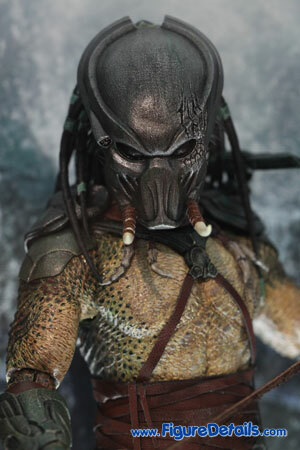 Tracker predator - The third predator from movie: Predators. 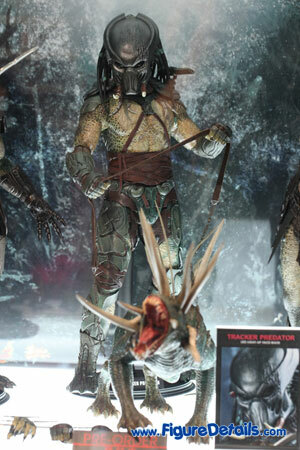 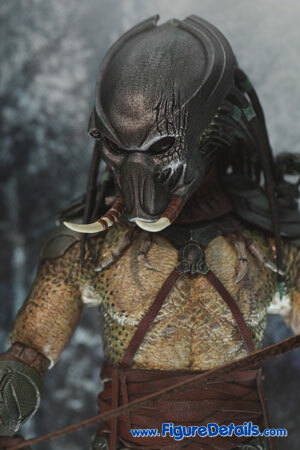 Hot Toys continues produces movie accurate predator action figure. 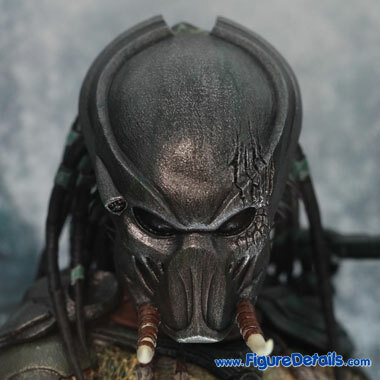 As you know the face mask of Falcon predator cannot be detached. 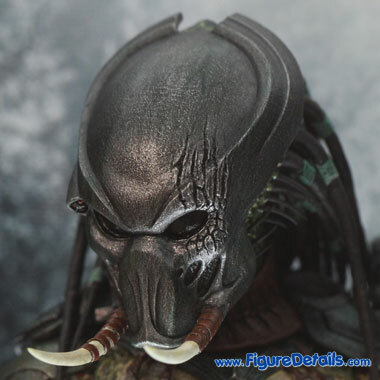 Therefore, it is quite sure that the face mask of Tracker predator cannot be detached as well. 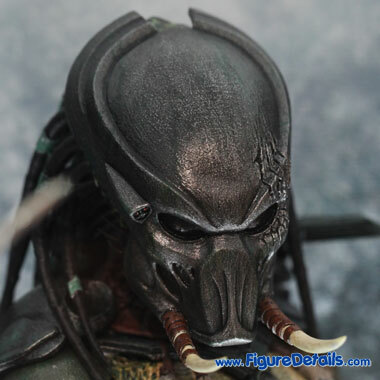 I think this is the reason that Tracker predator comes with an extra parts - Houng. 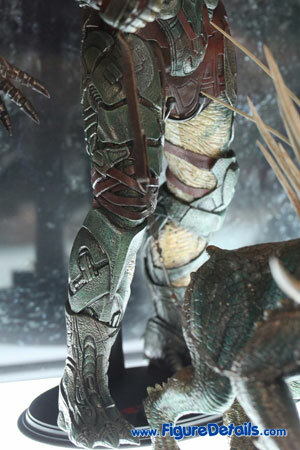 You can see how good of Hot Toys marketing is.